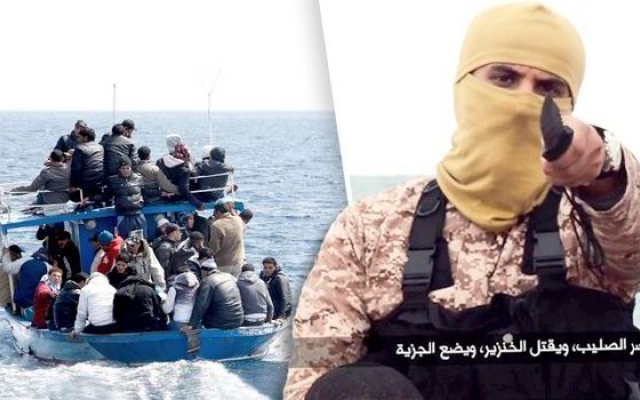 SWITZERLAND, Zurich — Based on breaking news and events, it appears that CIA Headquarters beneath Lake Geneva is plotting a second wave of ISIS, asylum seeker and/or refugee-related terror in France and/or the island of Corsica, most likely this week. In what appears to be the latest terror targets in France, it was recently reported that the city of Paris will commemorate the victims of Charlie Hebdo attacks with plaques on the aniversary dates of January 7-9, 2016. Another ceremony will take place on January 10, 2016, at Paris’ Republique plaza where a “tree of remembrance” will be symbolically planted. The impending atacks will be used to: a) revoke or repeal the Schengen Agreement which allows free travel through Europe, namely in Switzerland; and/or b) revoke or repeal the Dublin Regulation which governs asylum law in Europe, namely in Switzerland. 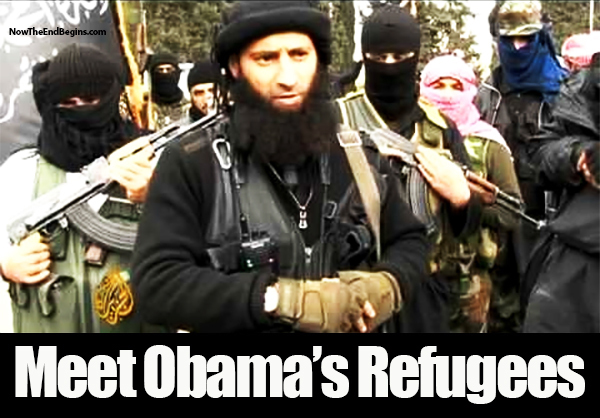 Consequently, one or more of the terrorists will allegedly be an asylum seeker or refugee. Exactly what type of terror is planned for France and/or Corsica is not known, but domestic, Islamic and/or Neo-Nazi-related attacks on asylum seekers/refugees, terror attacks by Islamic terrorists posing as asylum seekers/refugees, and/or made-for-TV riots resulting in mass death due to fire now appears imminent. In what appears to be pre-French airport terror programing, it was reported back on November 29, 2015, that 57 employees with access to airliners at Charles de Gaulle Airport in Paris were on a terror watch list. 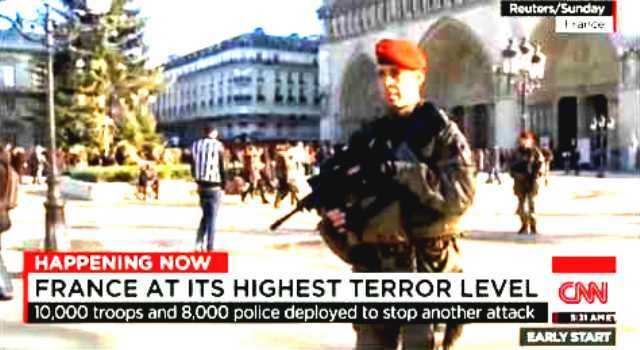 Consequently, state-sponsored terror attacks on French airports appears imminent. In what appears to be pre-French school terror programing, it was reported on December 16, 2015, that ISIS has called on its supporters in France to kill school teachers. Consequently, state-sponsored terror attacks on French schools appears imminent. In order to sell highlight Muslims and mosques in Corsica jus prior to a wave of state-sponsored Islamic terror attacks on the small island, it was reported on Christmas Day, December 25, 2015, that anti-refugee protesters ransacked a Muslim prayer hall in Corsica. In order to highlight Muslims in Corsica just prior to state-sponsored attacks for which they will be blamed, it was reported on December 27, 2015, that Corsica banned all rallies following a series of violent anti-Muslim protests. That same day, December 27, 2015, it was reported that anti-Muslim protests continued in Corsica despite a ban on gatherings, providing a timely motive for an ISIS-inspired refugee-related attack on the French island. 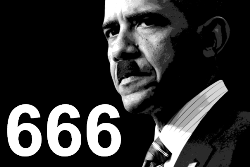 SWITZERLAND, Zurich — Based on breaking news and events, it appears that the Obama administration (at the behest of the CIA in Switzerland) is plotting a full-scale terror attack on Walt Disney World in Orlando, Florida and/or Disneyland in Anaheim, California. That being said, Disney Cruise Line ships and/or Disneyland Paris could also be targeted. A Disney-related terror attack will likely be scapegoated onto new-Nazi-like domestic terrorists in the United States, and/or Islamic terrorists affiliated with Al Qaeda or ISIS. 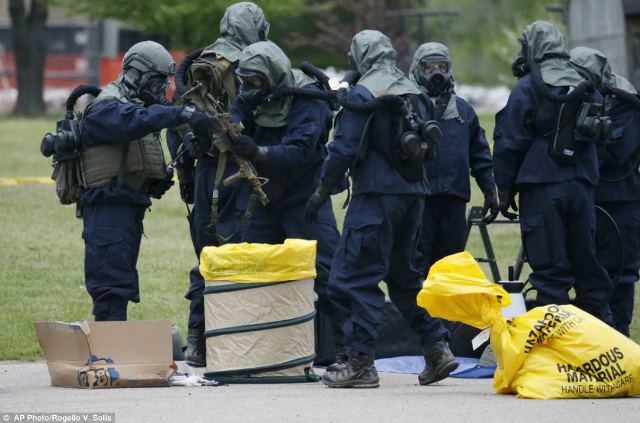 Said terrorist will likely execute a bio-chemical attack on a Disney-related entity, sparking the bio-terror pandemic planned for 2015. 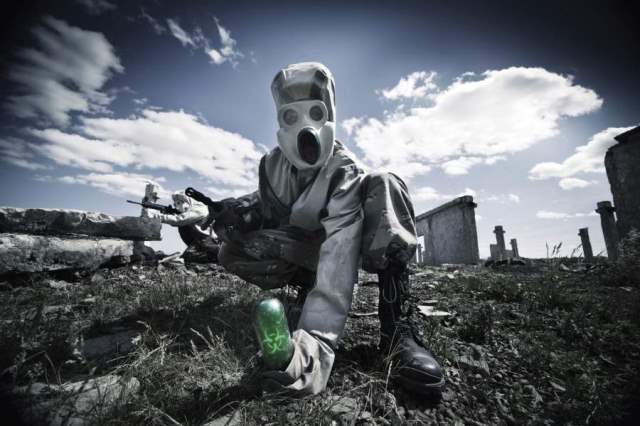 As depicted in the Bio-Terror Bible, the genesis of the 2015 bio-terror pandemic will be a “made-for-TV event” whereby millions will witness a bio-terror outbreak in person and on “live” television. 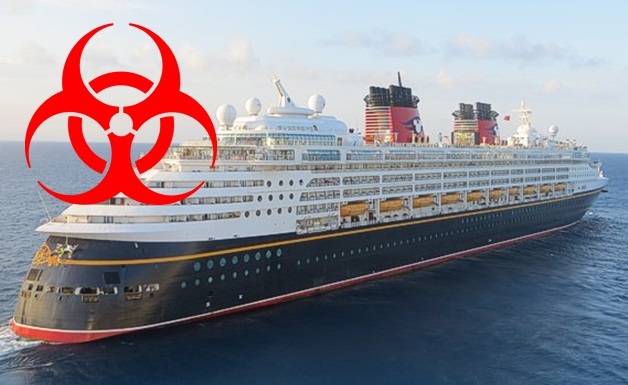 The staged bio-terror event will likely occur when the agents known as anthrax (Bacillus anthracis) and/or smallpox (Variola major) are released into a controlled environment such as a Disney theme park. If and when terror strikes Walt Disney World and/or Disneyland, the attack will predictably be caught on video by thousands of smartphones and instantly uploaded onto the web and social media networks (e.g., Facebook, Instagram and Twitter). The shocking footage of innocent children being killed will be replayed ad nauseam in calculated bid to terrorize the world and demonize America for eternity. In what appears to be pre-Walt Disney World terror logistics, it was reported back on May 8, 2015, that firefighters evacuated the Animal Kingdom ride at Walt Disney World. Two weeks later on May 22, 2015, Disney’s Seven Dwarf’s Mine Train ride reportedly froze, resulting in the subsequent evacuation of the ride. Whether the aforementioned evacuations provided the necessary cover for the installation of bio-chemical weapons and/or explosives inside Walt Disney World is not known, but it’s highly likely. Said weapons and/or explosives could be utilized at a later date in a coordinated state-sponsored terror attack. 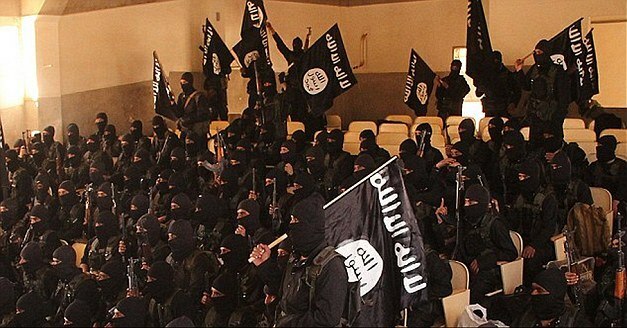 Back on May 22, 2015, the FBI reportedly arrested two men in Anaheim on ISIS-related charges. The arrests were likely staged or fabricated by the CIA in order to foreshadow the notion that Disneyland (which is located in Anaheim, California) is under the threat of Islamic terror. In what appears to be a Roman-like blood sacrifice to a successful Disney-related terror attack, it was reported on June 1, 2015, that a Disney Cruise Line officer was found dead in the Bahamas, hanging from a rope in the Disney Dream, a Disney Cruise Line ship. In the event that the attack on Disney World is foiled, it’s highly likely that the city of Orlando (home to Disney World) will suffer a Mumbai-like terror attack in which multiple locations are attack simultaneously by state-sponsored terrorists. In what appears to be one of the slated targeted, it was reported back on July 4, 2015, that 66 riders were evacuated after the 400-foot Florida Ferris wheel which inexplicably stopped in midair in Orlando. Whether the timely evacuation provided the necessary cover for the installation of weapons and/or explosives within the Florida Ferris ride is not known, but it’s highly likely. Said weapons and/or explosives could be utilized at a later date in a coordinated state-sponsored terror attack. A day later on July 5, 2015, it was reported that a fire ravaged parts of the Avanti hotel on Orlando’s ‘I-Drive’. 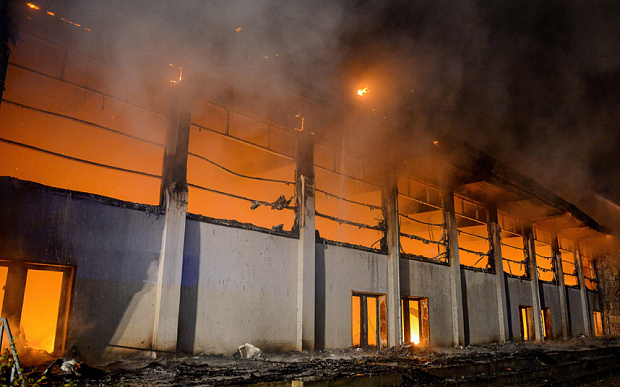 Whether the timely fire provided the necessary cover for the installation of weapons and/or explosives within the Avanti hotel is not known, but it’s highly likely. Said weapons and/or explosives could be utilized at a later date in a coordinated state-sponsored terror attack. In what appears to be a Roman-like blood sacrifice offered to a successful hotel terror attack in 2015, it was also reported on July 5, 2015, that Austin police killed a man suspected of killing someone in a hotel lobby. The timely report was also designed to invoke hotel-related terror just prior to a hotel-related terror attack. 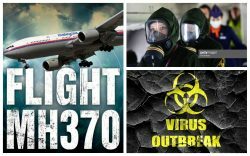 The impending Disney-related bio-terror attack will likely feature a 9/11-style aerial attack, possibly by the missing Malaysian Airlines Flight MH370 which was explicitly hijacked by the Swiss CIA on March 8, 2014, in order to execute a surprise WMD attack on America. In order to raise the notion of planes flying over Disney parks just prior to a 9/11-style attack on the iconic amusement park, it was reported back on November 14, 2014, that Disneyland and Walt Disney World are keeping their mysterious no-fly zone over their respective parks. In what appears to be the slated terror drill for a full-scale attack on Walt Disney World, it was revealed back on March 17, 2015, that U.S. Special Operations held an urban warfare drills in Broward County, roughly 210 miles away from Walt Disney World in Orlando, Florida. According to reports, the drill involved over 200 military personnel from the four branches of the U.S. military (i.e., Air Force, Army, Marines and Navy). In the event that a successful bio-terror attack is executed on Walt Disney World, said military branches will be tasked with quarantining Disney patrons and local citizens. Coincidentally, it was revealed on March 29, 2015, that a new video shows U.S. troops training to intern citizens in Fort Lauderdale. Prior to a high-profile amusement park-related terror attack, the world must be psychologically prepared to accept that this is in fact possible. Fraudulent headlines and fabricated events are a slick way of convincing people that yes, it can happen. As evidenced amusement park-related headlines are now at an all-time high which suggests that a state-sponsored terror attack on amusement parks is imminent. Ever since 9/11, intelligence agencies have been drooling about a Disney bio-terror attack. According to a December 29, 2002, article entitled, “Another Attack: It Can Happen Here”, a future attack could entail “suicide terrorists” infected with deadly smallpox circulate through Disneyland…triggering an uncontainable epidemic on a yet-to-be-vaccinated population, forcing mass closures of schools and businesses and sending the economy into free-fall.” Then on March 9, 2010, Burbank, California, home to the Walt Disney Corporation, purchased state-of-the-art bioterror detection equipment, an ominous sign that Disney related bio-terror may be imminent. A couple years later on July 25, 2012, a report revealed that Disney health officials were investigating the link between dozens of illnesses and the Animal Kingdom Tour after patrons were hospitalized with nausea, diarrhea, abdominal pain, and vomiting. Roughly 6 months later on February 22, 2013, it was reported that a Long Island teen died of “mysterious illness” during a Disneyland school trip, further foreshadowing that a bio-terror pandemic may be planned for Disneyland or Walt Disney World. Lastly, roughly 2-months later on April 17, 2015, California officials reportedly declared the Disneyland-linked measles outbreak over, drawing unprecedented media attention to the outbreak just prior to a state-sponsored bio-terror attack. 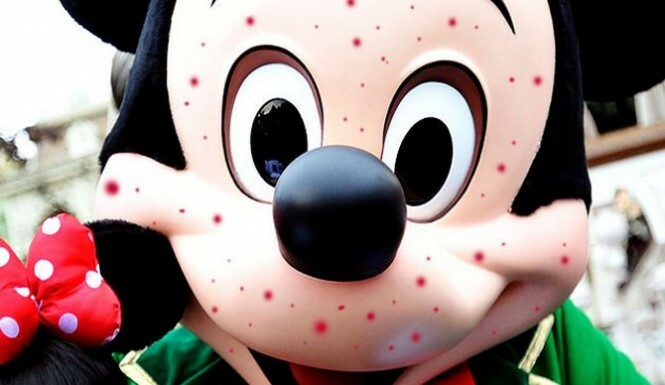 In order to acclimate the public to the notion of a Disney-related biological pandemic, a measles outbreak has been linked to Disneyland in Anaheim, California. Whether or not this alleged outbreak is actually transpiring in reality is not known, but it has programmed the public for a Disney-related pandemic nonetheless. The first report was published on January 8, 2015, when it was revealed that trips to Disney theme parks in California have been linked to measles cases. Less than 24-hours later on January 9, 2015, it was reported that 19 measles cases have now been tied to Disney theme parks in California. Eleven days later on January 21, 2015, health officials stated that 5 Disneyland employees were infected in measles outbreak. Two days later on January 23, 2015, it was reported that the Disneyland measles outbreak has now spread to 6 states. Needless to say, the allegedly rapid outbreak of measles is uncharacteristic of measles in general for it is only spread through respiration (contact with fluids from an infected person’s nose and mouth, either directly or through aerosol transmission via coughing or sneezing). Therefore, the notion that these employees and patrons of Disneyland all shared the same body fluids is highly unlikely. In what appears to be pre-Disney terror legal maneuvering by the Obama administration, it was reported on October 15, 2013, that attorney Michael Strautmanis, former deputy assistant to Barack Obama and current Chief Counsel and the Director of Public Liaison and Intergovernmental Affairs on Obama’s presidential transition team, has become Vice President of Corporate Citizenship at the Walt Disney Company. In the aftermath of unprecedented “race war” terror attacks targeting a Disney theme park, Strautmanis, will likely head up the legal team responsible for managing public relations. Since Strautmanis is currently working for both Disney and the Obama administration, the White House will effectively have command and control over any Disney investigation into the attack. Strautmanis will also have the bully pulpit of Disney’s numerous ABC TV Networks and TV channels to ridicule, sideline and stall any real or independent investigation into the attacks. In what appears to be a media stunt to bring unprecedented media attention to both Obama and Disney just prior to a terror attack, Bloomberg News published a report on April 17, 2014, entitled “Disney Offers Obama Minimum Wage to Florida Park Workers”. Although impossible to know, this Obama-related raise may be cited as the “motive” for a veteran-based terror attack by a Disney employee. Prior to executing “race war” terror attacks against a Disney theme park, the notion that white supremacists (e.g., neo-Nazis, KKK members or skinheads) planned to attack the park must be established. Roughly 4 years ago on November 20, 2009, it was reported that a “German Tourist” was arrested for a bomb threat against Disney World in Orlando, Florida. According to the report, 37-year-old Jochen Naumann of Leipzig, Germany, was going through a security checkpoint when he told a Disney employee that he had two bombs in his backpack. Although Naumann’s race or political affiliation was not revealed, the fact that he was from Germany and targeted Disney World with a bomb threat ultimately set the propaganda precedent for a future “race war”-like attack at the park. If an when “race war” terror attacks strike Walt Disney World, they will most likely be executed by white supremacist terrorists funded by the FBI’s Joint Terrorism Task Force in Orlando, Florida. Roughly 2 months after the death of Trayvon Martin on February 26, 2012, it was reported on May 8, 2012, that ten members of a white supremacist group training near Disney World for a “race war” had been arrested. 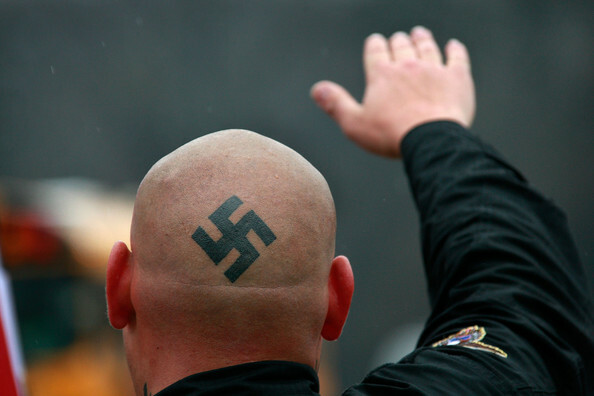 The affidavit stated that, “The American Front (AF) is a military-styled, anti-Semitic, white supremacist, skinhead organization and is known as a domestic terrorist organization”. 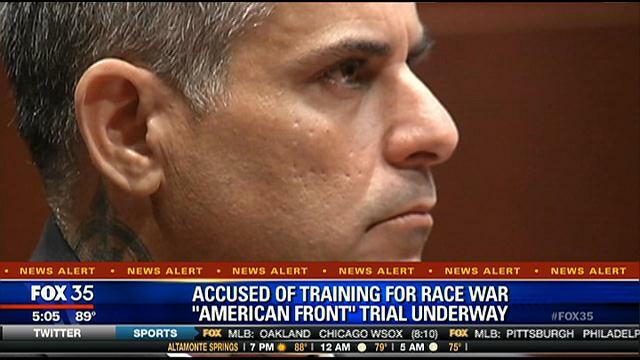 According to the report, the group’s alleged ringleader had been “planning and preparing the AF for what he believes to be an inevitable race war” and stated that “his intent [was to] to kill Jews, immigrants and other minorities.” Predictably, the “American Front” terrorist group was being “investigated” (i.e., organized and funded) by FBI’s Joint Terrorism Task Force who allegedly pulled the plug on the neo-Nazi organization after a “confidential informant came to believe his life was in danger”. In what appears to be pre-Florida “race war” terror propaganda, it was reported on October 18, 2013, that a Palm Bay, Florida, man set himself on fire while displaying a burning cross, an act usually affiliated with the Ku Klux Klan. Back on December 7, 2008, roughly a month after President Obama was voted into political office, the Southern Poverty Law Center (SPLC) published a report entitled “Racist Skinheads at Walt Disney World”. In the report, the SPLC stated that as many as “150 other skinheads” traveled to Disney World as part of a “celebration of “Martyr’s Day,” a high holy day of the radical right”. The Walt Disney World trip was to honor “Robert Matthews, who founded the terror group The Order and was killed in a shootout with the FBI on Dec. 8, 1984”. 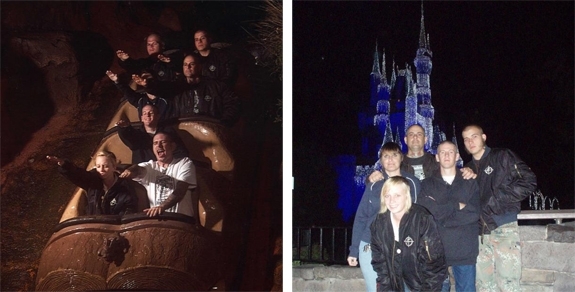 The report concluded that after the Disney party, skinheads posed for a photo with Ritchie Myers, the leader of Florida’s “American Front”, Forrest Fogarty, an Iraq War veteran who is also the lead singer of the hate band “Attack”, as well as a member of the Confederate Hammerskins who hosted the party. The report by SPLC, a government think-tank group, confirms that the American Front, a state-sponsored terror group, will likely be scapegoated for an attack on Walt Disney World in Orlando, Florida. 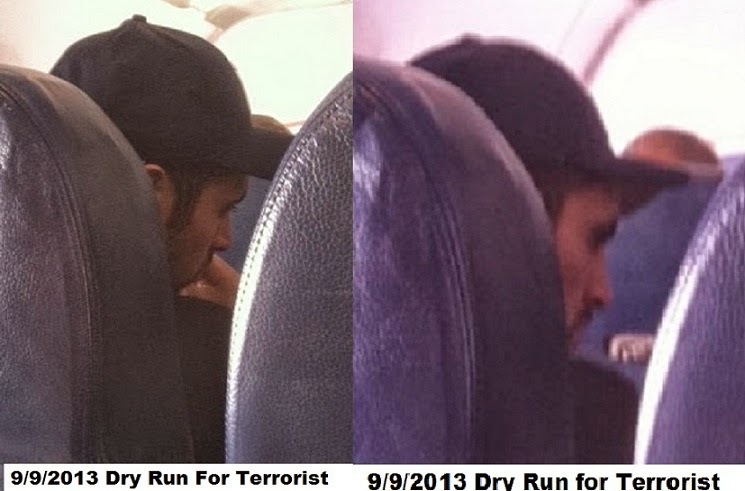 In what appears to be pre-Disney terror pasty planting, it was reported back on March 31, 2012, that at the Walt Disney Company’s Annual Shareholder meeting in Kansas City, President and Chief Executive Officer Robert A. Iger announced “Heroes Work Here”, a new company-wide initiative to hire, train and support returning U.S. military veterans. As part of the initiative, “Disney will provide at least 1,000 jobs and career opportunities for returning U.S. veterans over the next three years, support military families and veterans during their transition into civilian life, and launch a national public awareness campaign to encourage all employers across the U.S. to hire veterans”. Roughly 18 months later on September 11, 2013, it was reported that Disney World will hold a workshop in November to encourage other companies to hire U.S. military veterans. According to the report, the workshop will feature experts from Disney’s own veteran-hiring program, government officials and veterans’ service organizations. Since starting its own program in 2012, Disney has hired 2,200 veterans, including 1,500 in central Florida. As recently witnessed on May 29, 2013, when a Disneyland worker was arrested in a dry-ice bomb case, if and when a Disney terror strikes, it will be executed with the help of Disney employees—most likely U.S. military veterans. While a Walt Disney World terror attack is the most likely terror scenario, it was revealed on January 10, 2015, that a Disney hotel at Euro Disney in Paris, France was evacuated. Whether the timely evacuation provided the necessary cover for the installation of weapons and/or explosives is not known, but it’s highly likely. Said weapons and/or explosives could be utilized at a later date in a state-sponsored terror attack. Later that day, it was also reported that woman in her 30s threatened to blow up the Disney Hotel. Needless to say, it appears as if a state-sponsored terror attack on the park is imminent. 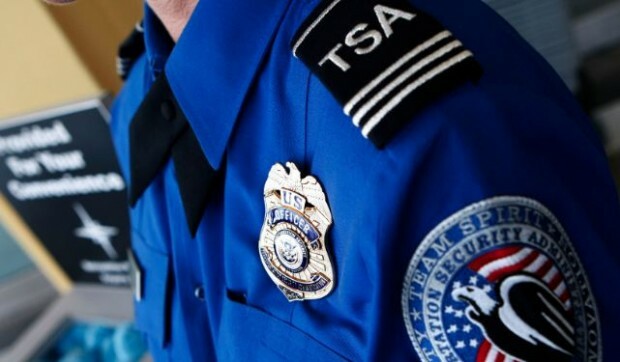 SWITZERLAND, Zurich — Based on breaking news and events, it appears that the CIA in Switzerland is plotting Islamic terror attacks on North American and/or European airports. Although an airport-related attack could theoretically transpire anywhere, there are 7 airports (see below) which have been specifically chosen by the Swiss CIA for terror. Exactly what type of airport-related terror attacks are planned is not known, but a 9/11-style attack, bio-terror attack, gun-related massacre, suicide bombing, hostage crisis, and/or prolonged made-for-TV siege are the most likely terror scenarios. That being said, an airport hotel terror attack is also highly likely. The notion of an airport terror attack was recently witnessed back on March 21, 2015, when the New Orleans Airport came under attack by a man who was carrying a bag with 6 Molotov cocktails. The airport attacker was reportedly armed with a machete and explosives. After executing the attack, the terror patsy was evidently double-crossed and executed by federal agents the same day, March 21, 2015. In what appears to be the latest airport terror target, it was reported back on June 27, 2015, that a Paris bomb threat forced an evacuation Charles De Gaulle Airport, an airport which has been previously targeted for terror by the CIA on numerous occasions. Whether the timely evacuation provided the necessary cover for the installation of weapons and/or explosives within Charles De Gaulle Airport is not known, but it’s highly likely. Said weapons and/or explosives could be utilized at a later date in a coordinated state-sponsored terror attack. SWITZERLAND, Zurich — Based on breaking news and events, it appears that the French government (at the behest of the CIA in Switzerland) is preparing to execute a terror attack on the 2015 International Paris Air Show which is being held at Le Bourget Airport in Paris, France from June 15-21, 2015. According to GIFAS (Groupement des industries françaises aéronautiques et spatiales), the 2011 Paris show attracted 151,500 professional visitors and 204,000 members of the general public, and 3,250 journalists from 80 countries. Needless to say, the air show is a very lucrative state-sponsored terror target. 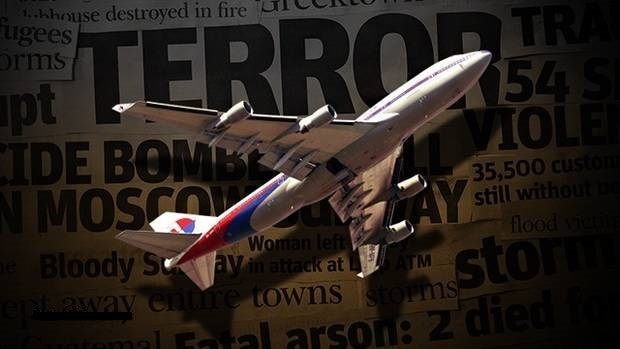 Exactly what type of attack is planned for the 2015 International Paris Air Show is not known, but a 9/11-style attack or accident, gun-related massacre, and/or and ISIS-related jihad attack are the most likely terror scenarios. 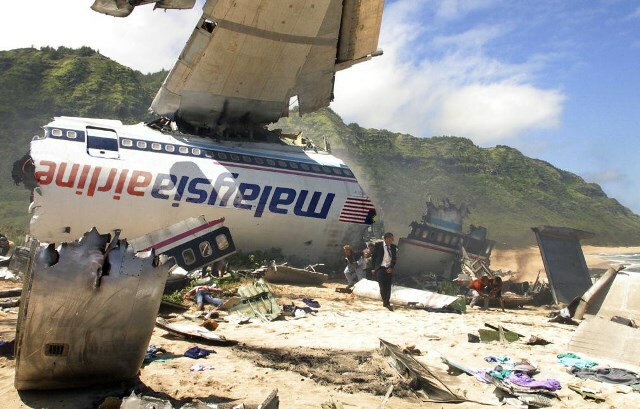 The CIA could also engineer a so-called “accident” or “natural disaster” during the 2015 International Paris Air Show (e.g., accident, fire, gas explosion, melee, stampede, aerial manslaughter attack, etc.) which would also kill and terrorize thousands of patrons in attendance. In what appears to be pre-2015 International Paris Air Show terror programming, it was reported on June 15, 2015, that 2 people were injured in a shooting at Air Force base in Arkansas. The incident was likely staged or fabricated in order to set the precedent for an airport-related terror attack. 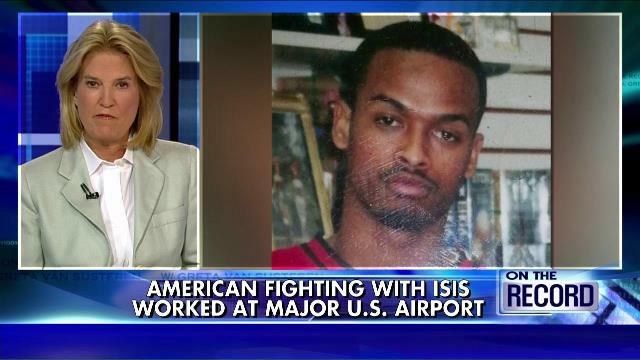 The notion that ISIS wants to execute an airport related terror attack was first identified back on October 6, 2014, when a teenager was arrested at O’Hare Airport in Chicago after trying to join ISIS. Less than a week later on October 12, 2014, U.S. General Dempsey stated that ISIS had “straight shot” to Baghdad airport, implying that an ISIS airport attack may be forthcoming. Roughly 5-months later on March 7, 2015, a female ISISI recruiter was reportedly arrested at the Barcelona Airport. Less than 24.-hours on March 8, 2015, 2 teenagers were reportedly stopped at the Sydney Airport on suspicion of trying to join ISIS, further suggesting that an ISIS-related airport attack is imminent. Needless to say, these reports, taken collectively, confirm that an ISIS-related airport attack is now in play. Lastly, back on April 10, 2014, a photo of San Francisco Airport appeared in al-Qaida’s magazine “Inspire”. Since Al Qaeda and ISIS are the primary terrorist arms of the CIA, the magazine’s “photos” are in essence the targets that the CIA is planning to attack. In what appears to be pre-French terror attack propaganda, it was reported back on March 23, 2015, that France now faces an “unprecedented” terror threat. In other words, the CIA in Switzerland is preparing to execute a wave of terror attacks in France. In order to provide a timely motive for ISIS-related terror attacks in France, it was reported back on April 21, 2015, that Syrian President Assad stated that France is supporting “terrorists” in Syria and is acting as Washington, D.C.’s satellite in the region. A day later on April 22, 2015, French police foiled an ‘imminent’ church terror attack. Less than 24-hours later, France foiled five more terror attacks. The foiled attacks were evidently fabricated in order to give French officials plausible deniability in the wake of a horrific school-related terror attack. In what may be the slated Islamic terror patsies who will be arrested and scapegoated for the impending terror attacks in France, it was reported on April 23, 2015, that France is still searching for accomplices in the allegedly foiled church terror attacks. Consequently, Islamic terrorists are now on the loose in France. In order to sell the notion that the French government is doing all that it can to stop Islamic terrorists just prior to a horrific attack in which score of French citizens are sacrificed, it was reported back on May 5, 2015, that a controversial surveillance (spy) bill became law in France. Exactly what type of terror attacks are now in play for France is not known, but attacks on French airports, landmarks (e.g., Eiffel Tower), nuclear reactors, trains and schools are the most likely. In 2015 alone, Truther.org foiled numerous terror plots pertaining to France, including but not limited to: a terror plot targeting the Chanel Tunnel between England and France (Jan 19), a terror plot targeting French trains (Feb 24), a terror plot targeting Paris’ Charles de Gaulle Airport (March 10), and a terror plot targeting the Eiffel Tower (March 25).